Card Reader is an ideal solution for access control applications based on printed cards. 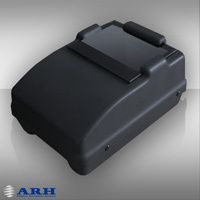 Card Reader is specially designed for ICAO ID1 size cards. Due to the enhanced optical system the Card Reader provides high resolution, outstanding image quality. Card Reader is a desktop unit designed not just for governmental but for SOHO (Small Office - Home Office) usage as well. No external power required: the Card Reader can be operated from USB.